Located on the east side of Balitmore's Inner Harbor in one of Baltimore's newest neighborhoods. 183 guestrooms (including 1 suite) featuring the ergonomic Mirra chair by HermanMiller. 32" High-Definition flat tube TVs with on-demand movies, complimentary HBO. Complmentary wired and wirelss high speed internet access in sleeping rooms. In-room Microwave, Mini-Fridge & Coffee Maker. $2,000 sq ft. of divisible meeting and banquet space for up to 80 guests. Breakfast is not included in the room rate but available in our restaurant currently for $14.95 plus 6% sales tax per person each morning. 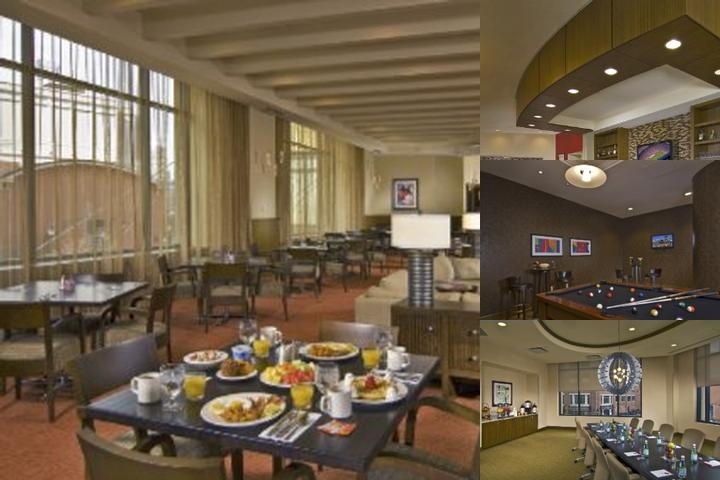 Below are the meeting, banquet, conference and event spaces at Hilton Garden Inn Baltimore Inner Harbor. Feel free to use the Hilton Garden Inn Baltimore Inner Harbor meeting space capacities chart below to help in your event planning. Hotel Planner specializes in Baltimore event planning for sleeping rooms and meeting space for corporate events, weddings, parties, conventions, negotiated rates and trade shows. 40 x 18 x 10 Ft.
15 x 12 x 10 Ft.
30 x 12 x 10 Ft.
45 x 13 x 10 Ft.
24 x 17 x 10 Ft.